Here’s a different sort of restaurant for you to hit up. 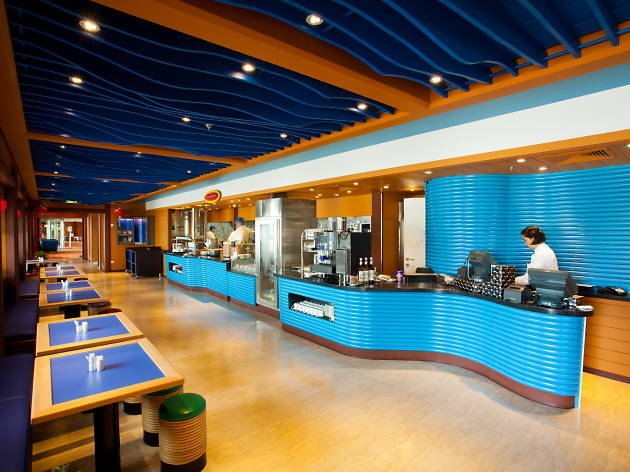 The Blue Lagoon is actually a 24-hour dining outlet on board the SuperStar Virgo cruise ship which is sometimes docked at Ocean Terminal Hong Kong when not out on the waves. 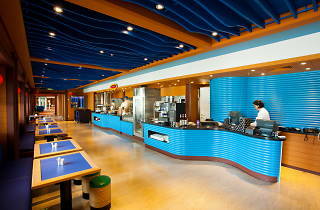 The Star Cruises eatery serves up some wonderful Southeast Asian delights such as bak kut teh and Hainan chicken rice. So book a cruise on this fab vessel and eat in the Blue Lagoon for days on end!